DETAILS: Situated on Destin’s pristine white beaches, Villa Coyaba’s 2,200 square foot luxury condominiums offer guests a beach haven of rest and relaxation. Featuring 4 bedrooms and 3 bathrooms, this sophisticated unit comfortably accommodates 10 guests and features top of the line furnishings, a Gulf front balcony with an unbeatable view, fully equipped gourmet kitchen and complimentary beach chair service during season. Villa Coyaba is nestled on Scenic Highway 98 and provides guests the convenience of being a short drive away from all of the world-class shopping and dining Destin has to offer. We had a wonderful time. The condo was spacious and beautifully laid out. A couple of issues we experienced: the king size mattress in one of the guestrooms needs to be trashed. You could feel and hear the metal springs when you lie down. Absolutely unacceptable and uncomfortable!!! The property manager sent a mattress pad but unfortunately they sent a queen size instead of king. The other issue: the stove had no temperature gauge. We love to cook and it was difficult to figure out the temps, but we eventually got it. Other than that, everything was great. Will we be returning...ABSOLUTELY!!! Can't wait until next year! 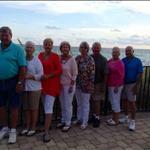 We are so glad that you had a wonderful time with us in Destin at Villa Coyaba! We do apologize for the issues experienced during your stay and we will be sure to share your valuable feedback with our entire team. We look forward to seeing you all again very soon! We are so glad that you enjoyed your stay with us in Destin! We will be sure to share your valuable feedback with our team! We look forward to seeing you all again soon! We love staying at Villa Coyaba. We usually stay at this place every year but have had different suites. The condo was nice and clean supplied with nice furniture. the only complaint was that there was only one hand towel for the kitchen so we had to buy more which I left for other people to use. Also a masher would be nice and maybe a couple of more cookie sheets or 9 x 13 pans. Overall the stay was as always "perfect". We were pleasantly surprised to see Daniel (the chair guy) for the 2nd year in a row. He is wonderful, friendly and helpful and he for sure a keeper. 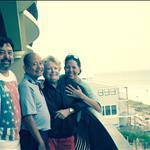 We are so delighted that enjoyed your vacation with us in Destin! We will be sure to share your valuable feedback with our team regarding the lack of kitchen amenities and towels in an effort to correct this for future guests. We look forward to seeing you at Villa Coyaba again soon! this was an excellent condo to enjoy both the beach in the pool. A location as wonderful as it is close to high-end shopping restaurants. upon arrival, there are wonderful little touches throughout the condo that made it feel like a special visit - especially the local coffee (delicious). it was wonderful to access the beach in the pool and having overlooking balcony to watch both locations. three families with kids for quite comfortable in this condo. I am knocking off half a star as it seems to be over a year since they were notified of a bad mattress in King BR #2 and it has yet to be replaced. It is very uncomfortable. Also, we are a family who loves to cook however we couldn't see what temp the oven or stovetop burners were which makes the process difficult. Overall great location - some TLC is needed. We are so glad you enjoyed your vacation at Villa Coyaba! We agree these condos are in the perfect spot. We will share your valuable feedback concerning the stove/oven and the beds with our property manager and the rest of our team to rectify this immediately. We look forward to seeing you again very soon! 6 adults celebrated a 50th birthday. Great property, location, and huge pool, beach chairs setup for you. Would recommend 360 Blue and Villa Coyaba. What a great photo! You really captured the great views this unit provides! We are so happy to hear that your group enjoyed your stay with us so thoroughly! Thank you so much for choosing 360 Blue for such a special trip! We hope to see you all back at the beach again soon! What a precious photo! We are delighted to hear you enjoyed the location and views this property provides, they truly are spectacular! We are sorry to hear that your stay did not exceed your expectations! We have taken your suggestions to the property manager and we are in the process of resolving the issues you listed. 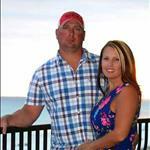 Thank you so much for choosing 360 Blue for your beach vacation. We hope you'll be back soon for the true 360 Blue experience! Staff was friendly. Beds were comfortable. Location was great but unit 305 countertops were dirty, had stains on carpet, patio furniture was ripped, and kitchen faucet was loose. Expected better quality for the price we paid. Thank you for your valuable feedback! We generally pride ourselves on having immaculately clean homes and apologize if this was not your experience. We have notified our housekeeping department of this issue to make sure it doesn't happen again in the future. Thank you for staying with 360 Blue and we hope to have you back again soon! We (two families/total of 8) had a great week staying here. The space is well furnished and the best meal of the week we had was July 4th when we made a large dinner in this homes kitchen. The only bad part of the week was having to leave at the end of it. We are so happy to hear that you enjoyed your stay with us so thoroughly! Thank you so much for choosing 360 Blue for your beach vacation, and for taking a moment to share your experience with us. We hope to see you back at the beach soon! This is the perfect beach sunset postcard! Wow! 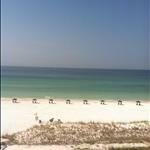 We are thrilled that you had such a wonderful time in Destin. We are happy you took advantage of the complementary beach chair service to enjoy those beautiful beach days! Thank you for staying with 360 Blue and be sure to visit us again soon! We had a fantastic spring break at Villa Coyaba. Two families stayed (3 adults, 4 teenagers, 2-12 year olds) in one condo. Balcony views were awesome. Condo had everything we needed. We cooked in condo all but 1 night. Coffee pot wouldn't work 1st morning (Ahhhh! ), but we called guest services and they delivered and set up a new one quickly. Free adult bikes were used a ton by all! Private beach was beautiful, and because weather was a touch cool the heated pool was a needed bonus! Such a beautiful sunset! We are so thrilled that you had such an incredibly stay in this home (and that we could get the coffee pot replaced quickly!) We hope to see you back at the beach soon! Had a wonderful week. The condo was perfect for our group of 6 adults. Very clean and well stocked with everything we needed in the kitchen. Great pool and grilling area. Will definitely visit again. The view from that balcony is truly phenomenal! We are so happy to hear that you all had such a great stay. We hope to see you back at the beach soon! Could not be better !! We have been here 8 times in 10 years. We appreciate your continued business more than you could know. Villa Coyaba really is such a wonderful place to stay. We hope to have you back again soon! Wow! This property is fantastic. We were there for a week including the Labor Day Weekend, and we could not have been happier. This property only has 36 units, and a beach that is private just for these units. On a Labor Day weekend, that was a blessing. We were able to go out to the beach and use our complimentary umbrella and chairs for a fantastic week of uncrowded beach fun. The unit itself needed some attention to a few minor details, but one call to 360 blue, and someone was out immediately to address all concerns completely. Other than those few details, this is one fantastic space, we had 7 guests and we were all comfortable. We spent days at the beach, evenings on the balcony, grilled some dinner using the community grills located in the pool area. These are not your average grills, these are top of the line stainless steel huge monsters. They are kept very clean, and function properly. We loved this place and will be staying here again! Looks like you had a wonderful time with good company! Villa Coyaba is an oasis among the crowded Destin beaches even during a holiday weekend. We are so happy you chose 360 Blue for your holiday plans and we'll see you next year! We loved our stay at 305 Villa Coyaba. When things needed fixing, 360 fixed them quickly. Loved having unlimited bike rentals! Looks like the perfect beach day! We're thrilled you enjoyed the provided bicycles. They're perfect for exploring down Old Hwy 98! We'd love to have you back next summer, thank you! Our stay at Villa Coyaba 305 was awesome. This is actually our 3rd trip to Villa Coyaba but I do believe 305 was my favorite unit so far. Nicely furnished and very clean. My favorite part is the wise use of beds in each room. Although this trip was without the kids...the sleeping arrangements are perfect for a large group. We will def rent this unit again when we bring the kids! 360 Blue..you guys do a wonderful job at keeping your guests informed whether it's welcoming us in or farewelling us off! That ocean view at Villa Coyaba is a perfect backdrop for your photo! We are pleased to hear that you enjoyed this beautiful unit. Come visit again soon, with the kids of course! Thank you for the valuable feedback. Our stay at Villa Coyaba was over-the-top wonderful. 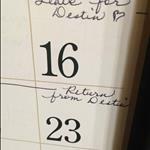 We came with our adult children and our grandchildren and had a vacation of our lifetime. Our whole family felt so pampered and cared for in our condo. The ocean view was amazing, the beds so comfortable, the response to a couple of issues was immediate, and even as we left, the cleaning crew was extremely gracious and friendly. We will come again in a heartbeat. Thank you, thank you so much 360 Blue and the beautiful Villa Coyaba. This photo is so perfect! We love to see things like this and know how much our guests look forward to their visits. Thank you so much for choosing 360 Blue for your summer vacation and for taking a moment to share your experience. We are so thrilled to hear that you enjoyed your stay and we cannot wait to have you back! Plenty of room for 8 adults. Everything was in working order & clean. Maintenance was very prompt on broken sliding door handle. Beautiful beach, water, & pool! We enjoyed all of them. Had very good beach service & enjoyed all of the great food!!!! Door & gate codes were great!!! What a great looking group! We love to see all those smiling, happy faces! Thank you so much for choosing 360 Blue for your summer vacation and for taking a moment to share your experience. Villa Coyaba truly is a lovely place to experience the area! We are so very happy to hear that you enjoyed your stay, and we can't wait to have you back! 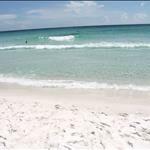 We have stayed in about 8 houses/condos in destin over the past 15 years. This one was our favorite. Loved the easy access to the beach and the awesome beach front pool. The beds were super comfortable and the kitchen was well stocked. Will definitely return!! We cannot express how happy we are to be your favorite! This really is such a wonderful place to enjoy the area. Comfortable beds make all the difference when you are away from home, so we are quite thrilled to hear that this aspect did not disappoint. Can't wait for your return!